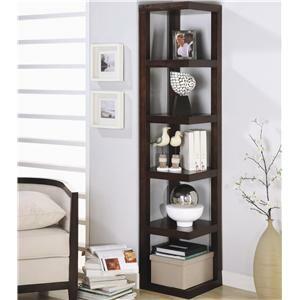 This bold contemporary bookcase will add stylish storage to your living room, office, or hallway. 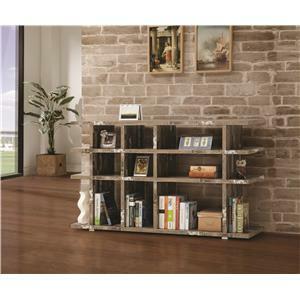 Finished in a deep Cappuccino, this sleek backless bookcase features an asymmetrical design with staggered cube shelves. 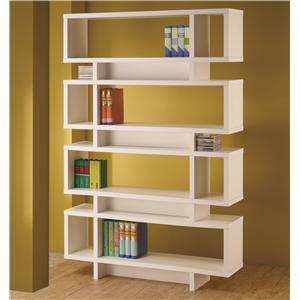 Eight spacious compartments in various sizes offer lots of space for books, framed photos, and your favorite decorative items. 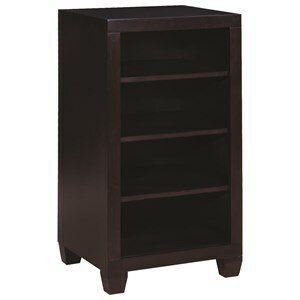 Spice up your home with this sophisticated storage unit for an instant style update in any room of your home. 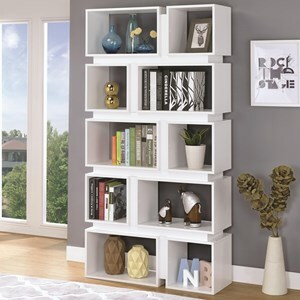 The Bookcases Contemporary Asymmetrical Cube Bookcase, Cappucino by Coaster at Sadler's Home Furnishings in the Anchorage, Fairbanks, Sterling, Alaska area. Product availability may vary. Contact us for the most current availability on this product. 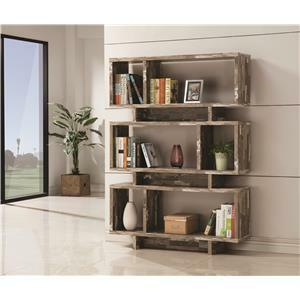 The Bookcases collection is a great option if you are looking for furniture in the Anchorage, Fairbanks, Sterling, Alaska area. 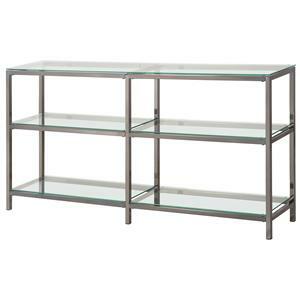 Browse other items in the Bookcases collection from Sadler's Home Furnishings in the Anchorage, Fairbanks, Sterling, Alaska area.